Energy efficiency is more than a buzzword. 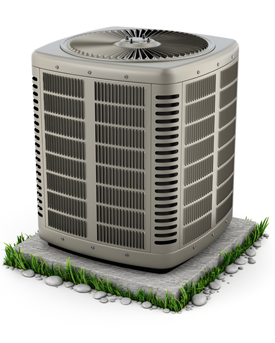 When it comes to your HVAC unit, the phrase describes a simple way to save money on power bills and system maintenance. Get suggestions from the technician when the heating, ventilation, and air conditioning system is being installed. 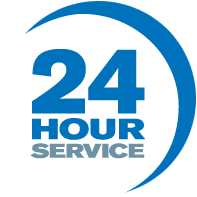 Find a reliable, licensed business and contract with them for annual service and inspections. You’ll be told about pending situations that don’t need fixed yet, and problems like leaks or loose belts can be addressed before they damage the unit. Give your HVAC system a break and use other ways to heat and cool the home during moderate temperature days. Is the house a tad chilly, but you hate to turn the heat on because the rooms will be too warm in just a few hours? Install window shades and open them to let the sun shine in. It’s a natural, free way to heat rooms. There’s no need to use central heating at night when the lights are on unless it’s really cold in the house. Bulbs emit heat that provides warmth. Keep the house cool during summer and early fall with solar screens, awnings and shades. As outdoor temperatures rise during the summer, lower energy use at night by cooling with fans instead of the air conditioner. Keep the cool air inside when morning comes by keeping the windows shut. Save strain on the HVAC unit with this simple bit of advice. Change air filters every month during peak seasons and clean them every couple of weeks during periods of moderate use. Equipment works harder and uses more energy when the filters are dirty. Review your owner’s manual or talk to your heating and air technician about switching to electronic or media filters instead of fiberglass filters. Lesser quality filters allow dust, dirt and debris into the unit. The result is dirty coils, pollutants in circulating air, and hampered heating and air conditioning exchange. Energy costs increase when the system isn’t working correctly. An energy efficient programmable or Smart thermostat lets you select the temperature and times you want the unit to run and shut off. Ask your technician or local utility company about its advantages. Hints of a breeze or a high-pitched whistle around windows and doors (particularly sliding patio doors) usually indicate leaks in caulking and weather stripping. Seal the cracks and leaks to keep the inside temperature from fluctuating because escaping hot and cool air. While you’re looking around the house, check to be sure vents aren’t blocked by potted plants, curtains, and pictures. Vents must have sufficient clearance on each side to help a/c and heat flow cleanly through each room.